Some new development here. 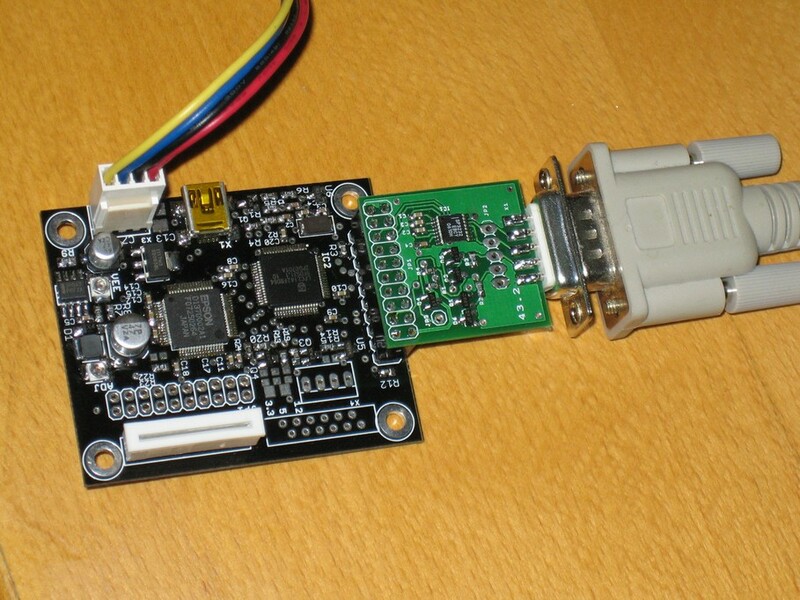 This is a S1D13700 controller with USB interface meant for driving all those controllerless displays out there with the common 4-bit interface. The board has a 14 pin 1.25mm FFC connector, 12 pin 1.25mm FFC connector and a generic 2.54mm pitch header for connecting to displays. Also built in is a DC/DC converter for the negative voltage and a backlight control. This is supposed to be a simple to use controller board that doesn't have the sed noise in the picture, USB for easier cabling without the often seen errors with parallel port communications and getting rid of the high processor usage often seen with larger parallel port displays. At the moment I have some assembled controller boards ready here. 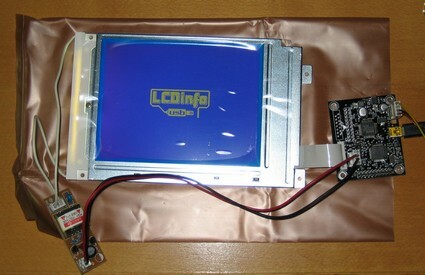 And also some lcd's that can be used with the controller if someone would like to have the lcd too. Final pricing haven't been set yet but it should be about 45 EUR. 22% VAT will be added for EU buyers. Supported systems include Windows 2000 to Vista 64-bit. Some preliminary testing has been done in Linux too. There exists drivers for LCDInfo, LCDStudio, LCDHype and MediaPortal at the moment. If you'd like to see some other software supported feel free to give some feedback. The controller can be also used from your own software using the provided DLL. There are simple commands for writing to the display and then there is also interface for sending direct S1D13700 commands giving full access to the S1D13700 if that is preferred. These were just some quick facts and more and better formatted information is on it's way. Last edited by Henri on Thu Nov 06, 2008 13:30, edited 2 times in total. nice work man.. as allways..
My older panels with SED controllers where lagging (256x128) in graphical and text modes .... with a MPI (MPISED 1335A-32K) controller board with a lava pci to lpt board. With a 320x240 LCD the frame rate was somewhere between 30-35 FPS with the recent firmwares if I remember correctly. So for monochrome panels this should be enough. The videos are 15 FPS so double that. There should still be room for optimisation to get faster framerate in future firmware versions but it haven't been a priority right now as the current speed isn't a much of a problem either. Sure I'll send you an email. I assume you have received my replies to your first email couple days ago. are those LCDs running with the latest version of LCDInfo? Yes there is a driver for 0.6 version of LCDInfo. You can also get the driver source code in case you're interested recompiling or seeing how it's done. nice work you did with this new controller. 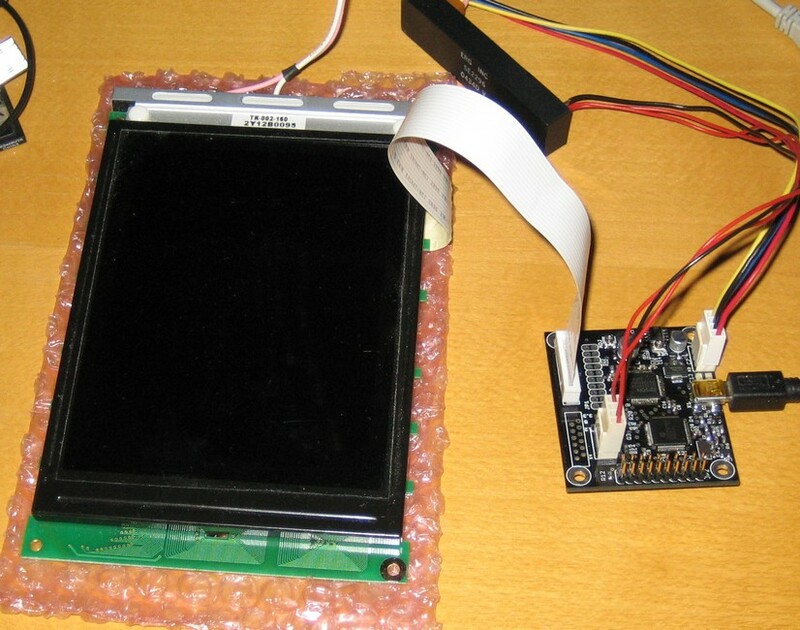 May i ask if this may work with my Optrex DMF 651 640x200px Display? It would be nice if you leave me a message with the costs for this one. Looking at the DMF-651 specs the display looks like a normal 4-bit input controller-less display so it should work with the USB13700 controller. Email sent with more details. i can to email you for more detail and spec USB13700??? 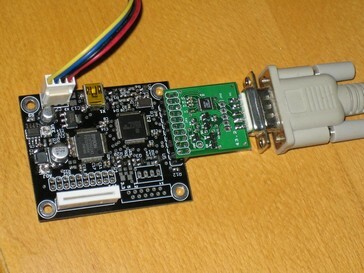 Yes if you have any questions about the USB13700 feel free to email me about them. I have an Winstar WC320240A-Display with Touchscreen and I want to use this in an Linux-Mediabox. Does the USB13700 work with this Display an is it possible to use it under windows? Very nice work that tiny controller-board!!! What do you think how much effort it would be to change the design for using an other Epson-controller, e.g. 13704, 13705 or 13503? Is it this color lcd ? Color displays aren't supported by USB13700 unfortunately. Last edited by Henri on Sat Mar 29, 2008 12:42, edited 1 time in total.